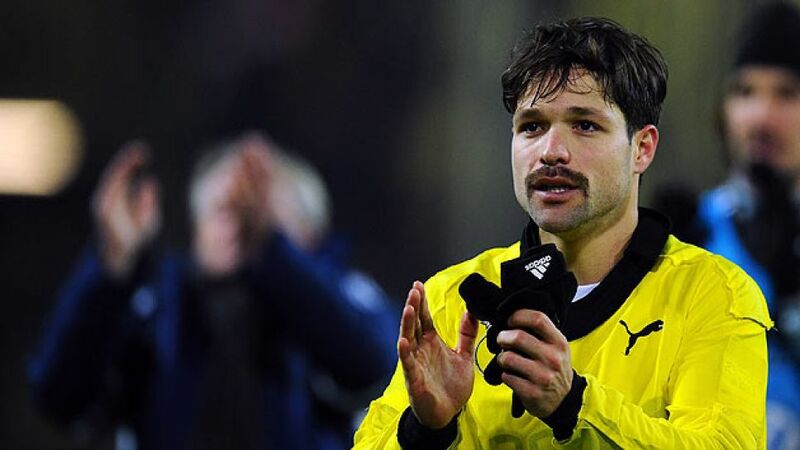 Diego Ribas Da Cunha has seen it all as a professional player. The Brazilian has plied his trade in five countries for six different clubs, but now the gifted, God-fearing midfielder is at home and prospering at VfL Wolfsburg. Born in Sao Paulo on 28 February 1985, , as he is commonly known, first played for local outfits Comercial FC and Sao Carlos, before joining the city's biggest club, Santos FC, at the age of 12. Such was his talent that he was given his first team debut just a few years later aged 16, going on to make 62 league appearances in three seasons. His upward career trajectory continued with a move to newly-crowned European champions FC Porto in 2004, before he signed for SV Werder Bremen two years later. Diego was a pivotal player for the Weserstadion outfit, helping them lift the DFB Cup and reach the UEFA Cup final in 2009. After a short interlude in Italy with Juventus, VfL Wolfsburg brought the playmaker back to the Bundesliga. Diego shone briefly with the Wolves, but spent the 2011/12 season on loan at Club Atletico de Madrid after falling foul of head coach Felix Magath. There his ability once again came to the fore and he played a starring role in the side, scoring in their UEFA Europa League final triumph. Consequently, Wolfsburg called him back to Germany in 2012 and Diego settled seamlessly back into the rhythm at the Volkswagen Arena, scoring ten goals and setting up a further seven for his team-mates. Though the Wolves fell short of reaching Europe by eight points, Diego's creative ability, leadership quality and optimistic attitude certainly bode well for the 2009 Bundesliga champions: "I'm a religious person. God paves my way and he has now brought me back to Wolfsburg. It's a good feeling to be back wearing the VfL kit. I'm here in mind, body and soul."